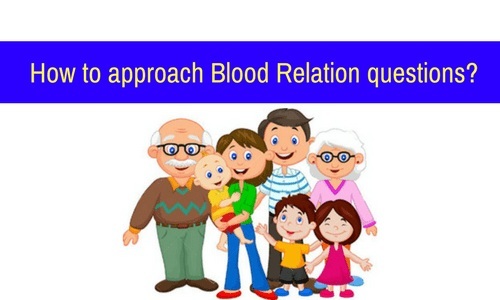 In recent examinations, Blood relation puzzles are combined with Seating arrangement questions and Data sufficiency type questions. In both the questions, it is highly essential that one must solve the blood relation puzzle before starting to solve seating arrangement or data sufficiency. A clear methodology to solve blood relation puzzles will save a lot of time. Shakthi is the daughter of the man , who is the father of the husband of my mother . 1.Group the puzzle into characters from the back. In a data sufficiency question , Always be aware of the gender of the character and their siblings. My Grandfather’s only son – represents My father. But My Grandfather’s son may also represent My Uncle, in addition to my father. For more complex puzzles with more than three characters specified, follow the pictorial representation. Try to draw the given puzzle in the above illustrated format .Practising many examples will give a good speed in drawing as above. Draw the flow chart and fill the names as given in the question. In a family, there are seven members, A,B,C,D,E, F and G. A and B are maried couple, A being a male member.D is the only son of C, who is the brother of A.E is the sister of D. B is the daughter-in-law of F, who is the wife of G.
Divide the question into groups and draw a small diagram for each. Now, combine all small flow charts to get the complete representation of the whole puzzle. If the question is “How is C related to B ?”, It can be easily found from the flow chart that C is the brother-in-law of B. Practise more examples to gain speed in solving these type of questions.